Order Your First Anniversary Gift From Your Comic Story!Order Your First Anniversary Gift From Your Comic Story! Every anniversary has a theme; for example, the 15th anniversary is the crystal anniversary and the 25th is the silver anniversary. Well, the first anniversary is traditionally the paper anniversary. While that might sound on the surface to be dull, it can actually be a very romantic and exciting gift. 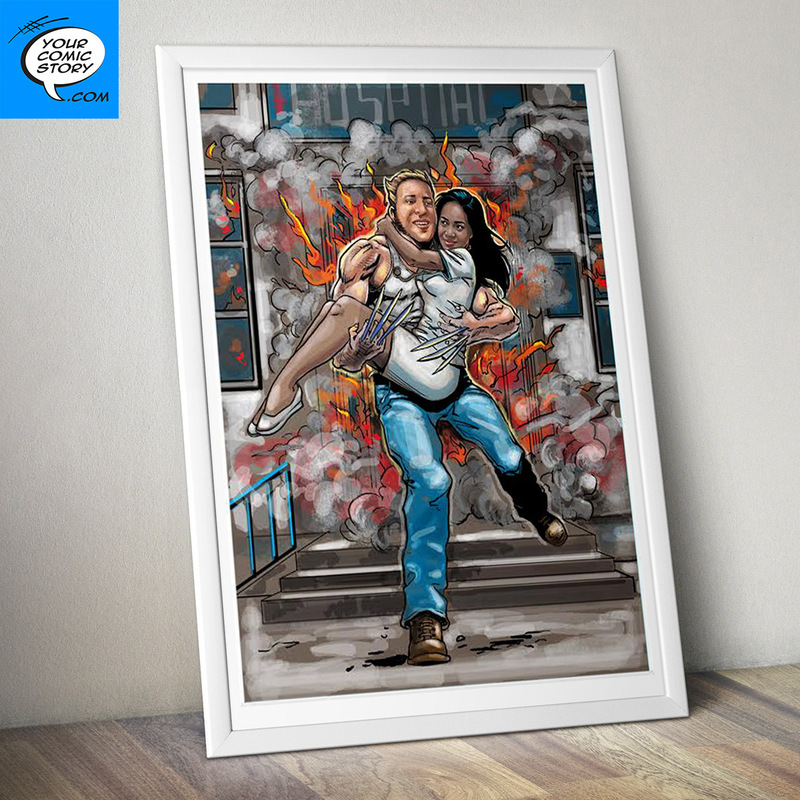 At Your Comic Story, we can create custom comic books and posters for your first anniversary gift. They will honor the traditional gift for the first anniversary while also being something memorable and romantic. The first anniversary gift is one that honors the year you just had and establishes a tradition for the future. For example, if you buy a custom comic book or custom superhero poster for your loved one on the first anniversary, you can follow that theme through the years. The fifth anniversary is the wood anniversary; you could work with us to create a humorous comic book about your partner and wood-based superpowers. We could create a custom poster that you have mounted onto an elegant wooden frame. There are endless possibilities for the themed gifts we can create with you. It all begins with the first anniversary gift ideas. That establishes eh trend and creates the tradition. Working with us on your first anniversary gift is a great way to create an entire range of gifts for other holidays. 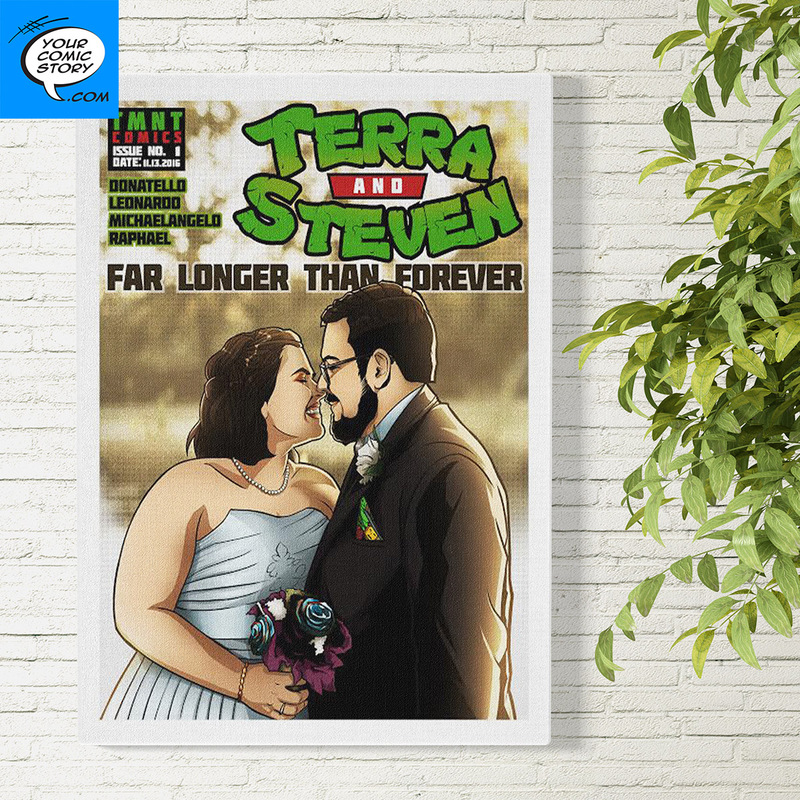 For example, if you buy a custom poster for your paper anniversary, you could then order a corresponding custom comic book for your spouse’s birthday. You could have postcards designed with your custom characters when you go on vacation. Since we can create so many different products built around custom animation and custom art, we can help you create gifts for just about every occasion. These gifts will capitalize and expand on the tradition you began with your first anniversary gift. A custom comic book is one of the most popular gifts for a one year anniversary gift; it honors the tradition of the paper holiday but it also gives you the opportunity to tell the story of your first year. An anniversary is all about honoring the year that has just passed. If you want to celebrate your first year together, working with us to create a custom story is a great way to do that. In the space of a few pages, you can tell the story of the last year and how special it has been to you. Relationships are all about stories; people always want to know how you met, how your proposal happened, etc. Your first year together is just another story. Let us help you tell it. 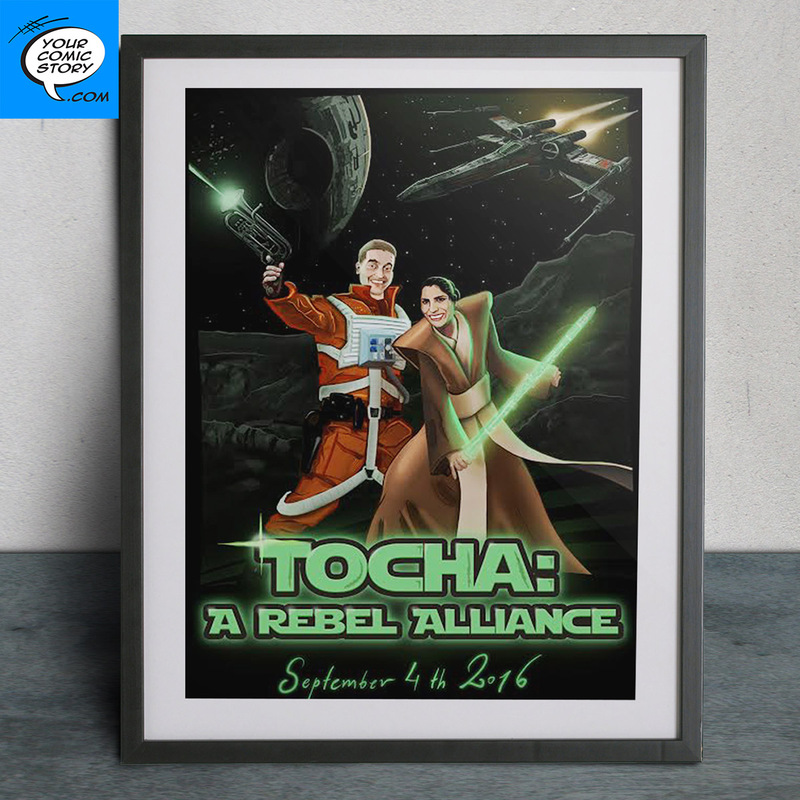 As stated earlier, buying a custom poster or comic book for your first anniversary gift is a great way to create a trend that you can extend to other holidays. We can create posters for Mother’s Day and Father’s Day. We have created posters and comic books for birthdays and wedding proposals. We can help you celebrate just about any occasion you can think of. Contact us with your ideas; we’d love to work with you.